Are you looking for a trustworthy local auto repair shop? Consider Combs Auto Repair dedicated auto repair business. We’ve been serving the Scottsdale and North Phoenix community since 1969. We offer competitive rates on auto service, pride ourselves on a job well done, and install only quality parts backed by a nationwide warranty. Whether your vehicle needs a minor tune-up or a major overhaul, our skilled technicians will quickly diagnose and address your vehicle’s problems, saving you valuable time and money. At Combs Auto Repair, we are committed to to never being on that “Don’t go there” list. Come on in and see for yourself. You’ll be glad you did. We hold our shop to high standards, and this includes every aspect of business — employees, repairs, even in the way the employees interact with the customers. Don’t hesitate to stop by or call us at 480.513.2828. 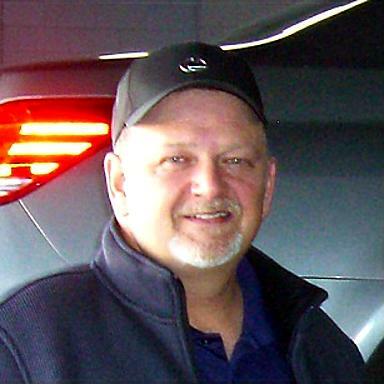 Mark has been in the automotive field for over forty-seven years; he devotes his automotive skills, as well as his customer service skills, to Combs Auto Repair. For more than 59 years, the Combs Family has been dedicated to the automotive repair business. 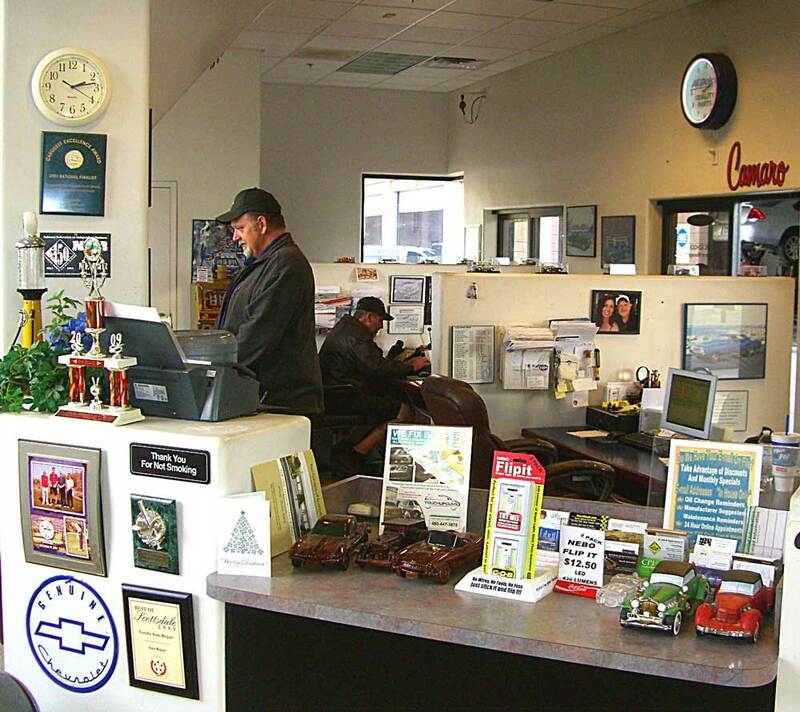 Since 1952, when James L Combs established his first service station, the family values of honesty and customer satisfaction have defined Combs Auto as an enterprise that instills confidence and trust in their customers. In 1969 James and his wife Phyllis opened the ARCO service station located at the northeast corner of Scottsdale & Shea when in 1972, their son Mark, came on board becoming a full partner in 1978. James and Phyllis Combs turned over complete ownership to Mark in 1987. He continued the family tradition running both the Arco and their Pinnacle Peak operation with the assistance of his wife, Alice, his brother Colt and Eric Schock, their General Manager of 20 years. In February of 2007, after 38 years, the Arco location @ Scottsdale and Shea closed their doors. The new facility has been designed with a drive-thru service entrance, individual booths where customers can discuss their repair needs one-on-one with experienced service professionals as well as a comfortable customer waiting area and exterior covered patio for the comfort and convenience of their number one priority – their customers. You will be treated with the same excellent service and integrity that has been a trademark for the Combs family businesses for generations. Our team is committed to providing stellar service and workmanship at every stage of the customer journey. 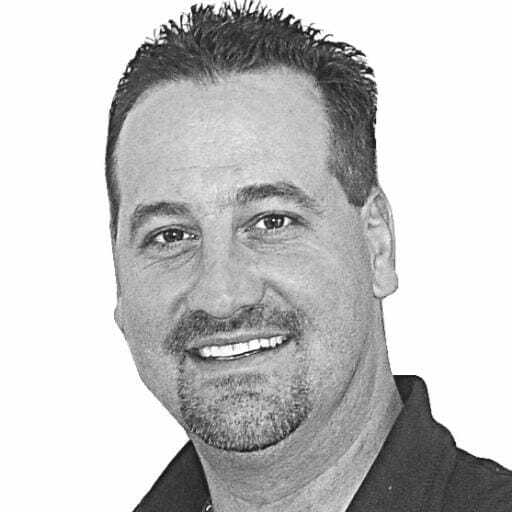 Eric is an amazing story of starting from the ground up, as he started with Combs Auto before there was even a Combs Auto Repair! Eric started pumping gas at the original location and within four years was being trained personally by Mr. Combs to run the facility. 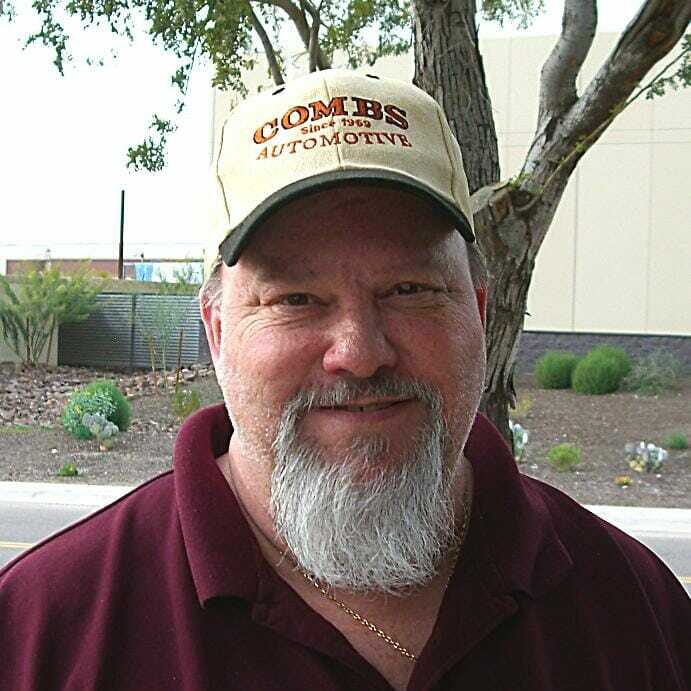 27 Years later, Eric continues to service the Combs Auto customers with exceptional care as the General Manager of Combs Auto Repair. On his personal side, Eric rebuilt his first engine on a 1974 Datsun 260Z at the age of 16. Over the next few years, Eric built and modified several Vehicle. ” I love getting my hands on cars and getting down and dirty”. Eric also has achieved several awards in the sport of Bowling. He bowled in scratch leagues for over 12 years and had a average of over 220. To qualify to bowl Pro, you need to average 200 for a complete season. Eric has bowled 11 300 (Perfect Games) and 1 800 series which is an average of 269 for a 3 game total. I grew up working on cars with my dad, and started restoring and rebuilding engines at the age of twelve. My parents both raced a stock car at Manzanita Raceway. That was a great experience. I learned so much from my father, rebuilding alternators and starters, engines and manual transmissions. I had a great teacher. After high school, I attended Arizona Automotive Institute. I worked as a technician for five years, then went into the front office as a service advisor. I attended automotive management courses and customer service courses. I enjoy working with people and learning about new technology that has come out over the years. I have the benefit from my experience of helping the technicians figure out the hard problems and I get great satisfaction in coming up with the difficult diagnosis. Over the years I have taken on a few different projects – I installed a Chevrolet LT1 350 engine into my 1994 Toyota pickup. I’ve enjoyed the truck for years now. I made a 1994 Toyota pickup pass emissions for a 1997 Pontiac Trans am. That was a great accomplishment for me being I had to engineer the wiring and needed sensors for this to happen. My next project was to Turbocharge a 2006 Scion XB, making it the fastest Scion XB in town. That was a fun car to drive. Over the years, I have dabbled in several different fields and am currently working on a Magnetic field viewer for fun. I am also learning about producing electricity and the different ways of doing it. My hobbies also include riding my Polaris Razor in the desert and sand dunes. I love camping and exploring new places with my Razor or Quad. I enjoy treasure hunting with my metal detector. I like to fix cars in my free time. I have built many engines and transmissions for my VW sandrail, and I turbocharged the sandrail as well. I enjoy projects that excite and challenge me. I believe I see the world a little different than most people, which sometimes gives me a perspective to come up with something others may not see. Call it a talent or a curse. I had always worked closely with the family business, and when my brother built the Pinnacle Peak shop, he asked me if I could run the service station. Of course I said yes, sold my towing business, and ran the station until it was time to close the doors at Scottsdale & Shea. My brother moved us up to the new location, where I started running the Parts Department. I have always like working with my hands, so in my spare time, I spend time restorying and building my 1969 Camaro. I also like playing Poker and Poker Tournaments to challenge my mind against other players. And when I like to relax, I will go to the range and do some precision shooting in which I build my own rifles and reload all my own ammo.